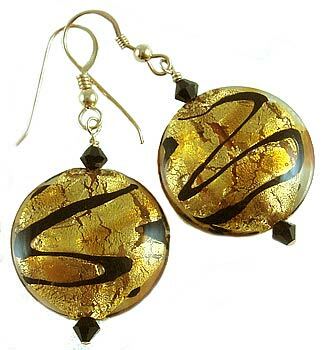 These earrings feature perfectly handmade 21mm disc-shaped Venetian beads with a topaz glass over gold foil and accented with black stripes. Attached with gold filled components. Handmade in Murano, Italy.